This message was preached by Colin D Cruz at Word of Grace Church on the 25 th of Jan 2015. To listen/download the audio please click here. We saw that the Philippian church was a quality church. Paul had great love for them and them for him. They sent gifts and supported Paul. However there was something that bothered Paul. It was not doctrinal error, or gross sin like the Corinthian church. He warns them of something that could happen. Phil 4:2 He pleads with two women to make up. He is saying unity is the key. This short book of 108 verses has more than 50 references to Christ. It’s a high percentage. Paul gives them reason why they should aim for unity. 1. Any encouragement from being united in Christ – Think of what the cross means to you. What have you received? So many things! Our sins are forgiven, everlasting life; we have a family in Christ. He will never leave us nor forsake us. We are being sanctified, strengthened in the midst of trouble. 2. Any comfort from His love. His love is amazing. He loves us even before we repented. While we were still sinners in Christ died for us. Rom 5:8. Even when we sin, he is our advocate. He is compassionate and forgiving. Till we die, we will sing but as Christ followers we are not happy with our sin and we don’t want to sin. 3. If any fellowship with the Holy Spirit. If the first two are not enough think of this. The Holy Spirit has drawn us to him. The spirit was involved in our sanctification and will be involved in our glorification. We have the gifts and fruits of the Holy Spirit. We cannot live without the work of the Holy Spirit in our lives. 4. Any tenderness and compassion. This refers to more than an emotion. It’s not just agape love but a strong liking, like between friends. 5. Make my joy complete. Paul was appealing to them saying that you can make my joy complete by being united and like minded. How can we who are so diverse in Word of Grace from different cultural backgrounds, education, language, likes and dislikes get unity? Take a housing society. They are always fighting. Unity is hard to get. When it comes to the word of God and the cross we need to be like minded. It’s not cloning people but being on the same page when it comes to the things of God. There are no two people on earth who think the same. Unity comes about when the love we have received from Jesus is what we give to others. We tend to give ourselves a wide margin. Let’s give others a wide margin and forgive unconditiontionally. Unity comes from being one in purpose. We gather here because we want to see the kingdom advance. We are all involved. How can we advance the kingdom? The small groups and prayer help. We are praying for each other, being accountable. Let’s think about this. We need to of the same mind, united, love one another. When we are like this, great things can happen. Without the Holy Spirit we can’t do this. Let’s ask the Holy Spirit to do this for us, to make His thoughts our thoughts. Amen! This message was preached by Colin D Cruz at Word of Grace Church on the 18 th. of Jan 2015. To listen/download the audio please click here. There are some bachelors who are looking out for the perfect wife; some ladies are looking out for the perfect husband. There are some Christians looking out for the perfect church! There is no such place here on earth but one day we will have it in heaven. I want us to look at the church in Philippi. Paul is writing to them full of love and affection. They have a special place in his heart. Phil 1:3 I thank God very time I think of you. Maybe he had Lydia and family in mind. In Acts 16:14 we see how Lydia gets saved amongst others. Verse 4. He prayed for them with joy. Are we full of joy when we pray for people? 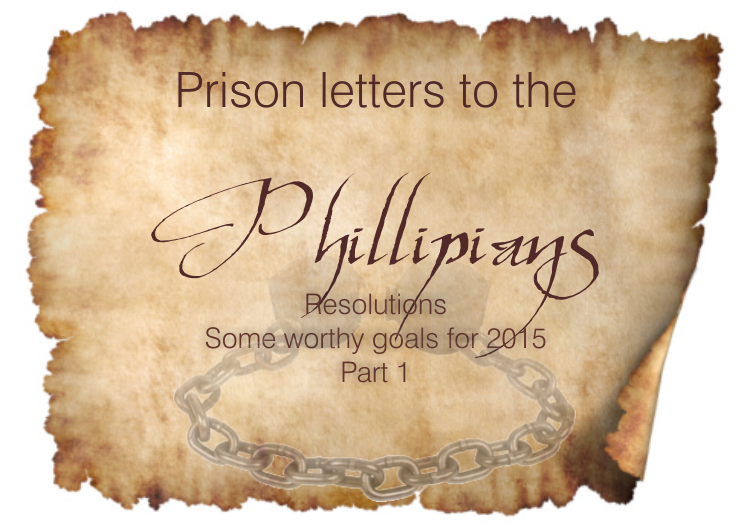 There are some lessons we can learn from the Philippians. 1. Verse 5. They partnered with him. They were with him in his mission. Verse 8. He longed for them. He was not a detached apostle but had a deep love in his heart for them. Acts 16:33 The Philippians jailer was saved and so was his family. 2 .Phil 1:9 Not only does he love and pray for them, the Philippians prayed for him too. They were a people of prayer. 3. Phil 2:12 they were obedient. A higher level of commendation is that they were obedient in his absence as well. 4. They were living at a high standard. Acts 3:15-16 He commends their life style. He commended their leaders, elders and saints. 5. Phil 1:9 That your love may abound more and more”. They were a loving people. 6. Phil 4:14-16 They were a generous people. They were only one who supported him even in Thessalonica. They even sent Ephaphrodites. With gifts for Paul. When Paul wrote to the Romans, Corinthians, Ephesians, Galatians he wrote to correct doctrinal errors that needed to be corrected. eg) Gal is a stiff strong letter. Gal 5:12 – very strong language. Gal 3:24 the purpose of the law is to lead us to Christ that we may be justified by faith. With the Philippians there was no doctrinal deviation. The Corinthians had divisions. Dis unity. 1Cor 1:10, 1Cor 5:1 Sexual immorality in the church that is worse than the outsiders! 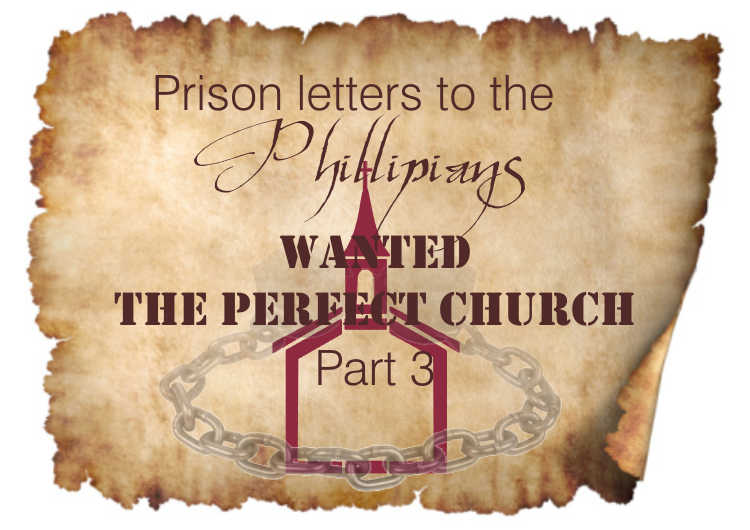 If there was no correction to the Philippians what was the purpose of the letter? Although it seems calm on the surface Paul wants to address something that is hiding in the background. He is addressing the deadly poison of disunity, discord and conflict that is lurking. We get glimpses of this in Phil1:27, Phil 4:1-3 We see it more obviously. I plead with Euodia and Syntche to agree with each other. Verse 3 tells us that they were no ordinary woman but contenders for the gospel! Paul was addressing the lurking danger of disunity. This is not just for the Philippians but for all of us. 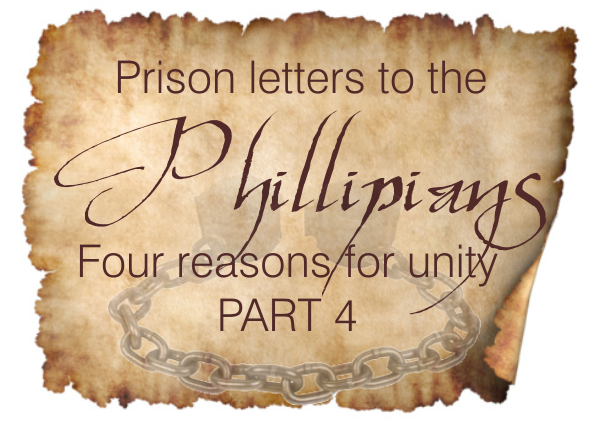 Phil 2:1-4 Paul lists out the motives for unity. He lists out the marks of unity and the means of unity. Paul is in prison writing this letter. The key thing is that Paul wanted the church united. This was the thrust of what he was writing. We shall look at it in detail next week. This message was preached by Colin D Cruz at Word of Grace Church on the 11 th. of Jan 2015. To listen/download the audio please click here. The apostle Paul wrote to the Romans. Rom. 1:10 that he longs to be with them and impart some spiritual gifts, His desire to go to Rome was fulfilled but as a prisoner. Acts 21:28 is about how Paul is arrested and falsely charged. He is then in jail for 2 years and he appeals to Caesar being a Roman citizen and so he is taken there. This is the background. He is in prison now. But how? We will look at Paul’s attitude through this. Bad things do happen to us – illness, tragedy, death, cancer, job loss etc. In Rome Paul is under house arrest ( Acts28 :16-13). He is allowed to live with a soldier to guard hi. 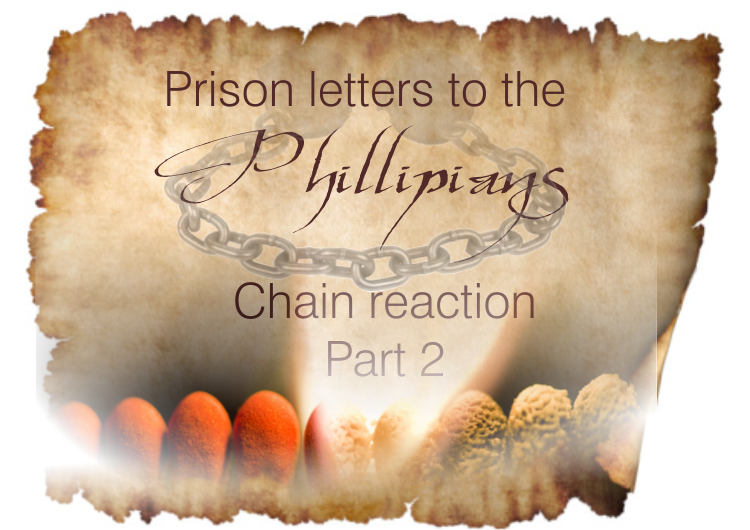 Phil 1:13 tells us that the was in chains i.e chained to his guard . These were the elite soldiers of the Palace. How would you react if this had to happen to you? He was not in prison for a crime but for Christ. Paul had every reason to grumble and complain. He sees his circumstances through different lenses. Verse 12 whatever happened is of no consequence because he was able to advance the gospel – that Jesus paid for our sins and if we believe this we will go to heaven. Christians are like tea bags – you can tell what we are when we are in hot water! Paul had a Rom8:28 attitude. Knowing that as we seek God’s kingdom ,no matter what, there is a sovereign God advancing the gospel. Paul wrote letters to the Ephesians, Colossians, Philippians. Those churches do not exist anymore but the letters do and we read them till this day. In our own lives whether we see or don’t see what is happening we need to trust Him. We need to hold on in faith and know that He will work it all out. In our situation we may think that it’s time to pipe down a bit but we should continue to be bold to proclaim the gospel and do good. Also Paul being chained to the guard caused him to have a captive audience. The result was all the palace guards received the gospel and they get saves. It’s called a chain reaction!! Verse 15 – Christians were preaching some out of love and some out of selfish ambition and to stir up trouble for Paul (v17). Did not Paul have a right to get offended? Verse 18 - But what was Paul’s reaction ? What does it matter as long as Christ is being preached? This is a wonderful attitude to have. Verse 19 we need to keep praying for a change in our situation when it is bad. Paul lives confidently despite the uncertainty around him. He is not afraid. He then gives us a model of how we should live. Verse 20 ,Christ is to be exalted whether by life or by death. What an attitude!! Phil1:22 For me to live is Christ, to die is gain. This should be our attitude. If he died it would be to be with Jesus. To live would be fruitful labour. Verse 25 To be on earth means we should be faithful and fruitful. So there is much to learn from Paul’s attitude a Romans 8:28 one full of joy and confidence. Verse 29: To suffer for Him. This is something we will face if we stand up for Christ. There are many who talk about “no suffering” for the Christian. That is not true. We will face opposition and rejection. Throughout church history we see great men and woman of God had to suffer great atrocities for the sake for the gospel. While we do have abundant life there is this part also that is not spoken or preached about often. If you have been called to suffer he will also give you the grace for it. But in all things have a Rom 8:28 attitude filled with hope, joy and confidence.